Broad bean eaters – who? where? As thick as thieves this little couple. I’m sure Jaz is the better one at getting to the stuff and Maiki just loves to tag along and hide when she can. 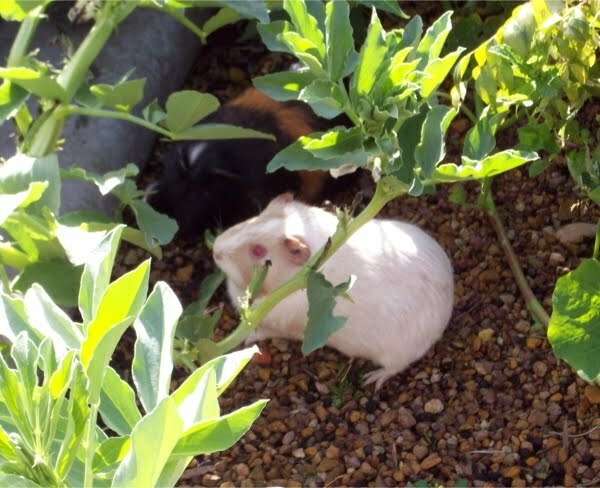 Here they are feasting on a couple of broad bean leaves that are over-hanging from the hedge garden. . . obviously just a little too enticing to resist.